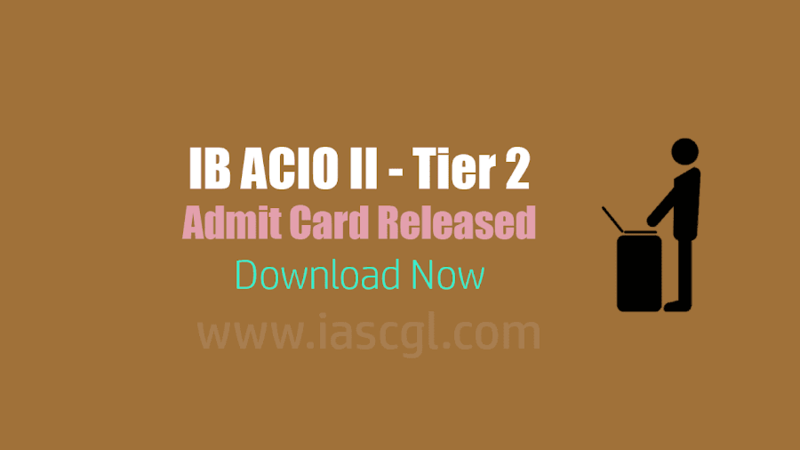 Ministry of Home Affairs released admit card for Tier II examination, Candidate can download now. Ministry of Home Affairs released admit card for Intelligence Bureau ASSISTANT CENTRAL INTELLIGENCE OFFICER GRADE-II(EXECUTIVE) EXAMINATION - 2017 Exam. Candidate who qualified tier I examination can download admit card for tier II exam from the official website of MHA or a direct link given in this article.